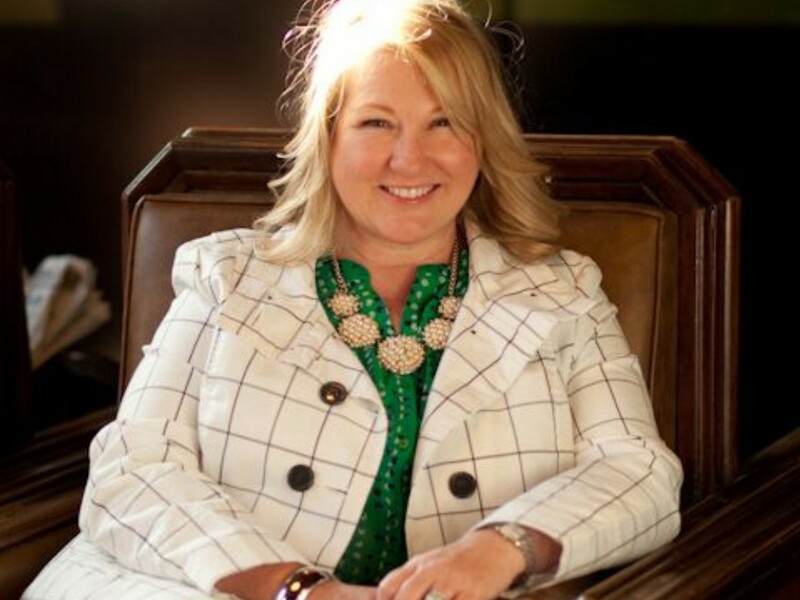 A few weeks back, we got the opportunity to spend a few minutes with Deanna Nash of Deanna Nash Events to talk wedding trends, destination-wedding locations and even got her to tell us how to plan a shotgun wedding. If you’re looking for a creative planning partner, Deanna Nash might just be your girl! Any trends in the wedding arena we need to be aware of? 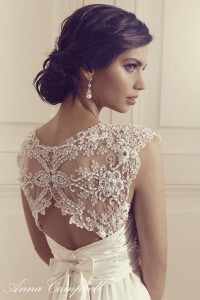 My favorite new trend is wedding dresses that have really intricate detailing on the shoulders, sleeves and back. It’s a departure from the strapless dresses of the past. A great example is this lovely dress from designer Anna Campbell. I also adore interesting cuts and draping – the designer Cortana drapes beautifully. Is there a go-to dress designer you can recommend? I love Carol Hannah. Her new Siren collection is so dreamy; you can imagine floating down the aisle in her dresses. I also love Elie Saab. Though his dresses aren’t specifically labeled “bridal”, I would love to see a bride go down the aisle in one of his designs. Any signature thing Deanna Nash is known for? Brides most often comment that, even though they didn’t have a clear vision for their wedding, I created exactly what they were looking for. To me, that is the ultimate compliment and makes my heart sing. What is your favorite season for weddings? I love the coziness of late fall and winter weddings – the use of heavier textiles and deeper, richer colorways; but then I also love spring weddings for the freshness and summer weddings for the light. I guess I can’t pick one, I love them all! So where do you think is the perfect destination wedding for each season? 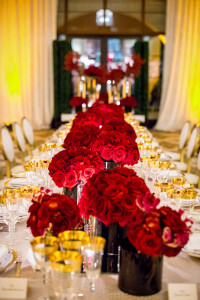 Winter: Mexico for warmth, Aspen or Montana for a true winter wedding experience. Spring: I think that Southern California’s weather is the most reliable, and it’s so lovely here in the spring. Summer: South of the San Francisco Bay area – Big Sur or Pescadero. Or go east a bit to Lake Tahoe – it is gorgeous there in the summer. Fall: Definitely New England for fall…somewhere along the New England Coast. 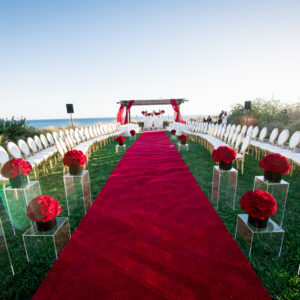 And what would you see as the most romantic destination wedding location? Personally I’d choose Italy or France. That’d be the dream scenario for a romantic destination wedding – an Italian Villa surrounded by acres of grapevines or a centuries old French estate with pebbled walkways and trellised gardens. Which wedding project are you most proud of? It was a beautiful wedding I did last December with 204 Events. Two grooms who had been together for almost twenty year got married at Terranea Resort. These clients really trusted my vision and execution, and I had a very strong hand in the design of the entire event, from guest arrival to departure. I loved every minute of creating an experience not only for the couple, but for their family and friends as well. (Dee – I’m including two photos of this wedding just in case you want to use them). What’s the most requested cake flavor? What? That’s such a vanilla answer. I know, but it happens to be true. There is a real correlation, intended or not, between weddings and vanilla or white wedding cake. People default to vanilla with red velvet and chocolate running a close second. For me, inspiration is everywhere. When I’m working on a project, it’s always in the back of my mind and I’m constantly spotting ideas and little touches that can be interpreted and incorporated into a wedding setting – I love that aspect of my job. I love looking at other designer and planner’s work on Instagram and Pinterest – there are so many great ideas and design details – my photo memory is always depleted because I snap so many screen shots of the great work out there. What does your dream wedding project look like? My dream project would be a destination wedding – intimate in size and yet filled with a crazy amount of detail and personal touches. I love the idea of personalizing everything for each and every guest. So that from the moment they arrive until the moment they leave, it’s obvious that the guest experience was on our mind while planning the bride and groom’s dream day. How long will a wedding like this take? Ideally 9 to 12 months lead time. I’m working with clients as far out as fall of 2017 and I think sometimes having so much time can be a little bit harder on the bride and groom. With long lead times, there’s time to second-guess yourself. There is so much imagery via social media that a decision that felt right this year, might not feel right 15 months from now. How about a shotgun wedding two weeks from now? Yes! I love that kind of challenge. I tell my clients who find themselves in this scenario that a short planning process doesn’t mean that they don’t have enough time, it means they have to be sure of themselves. Once they make a decision, move on to the next item on the checklist. It’s totally do-able, but you have to have nerves of steel and be incredibly decisive! What’s the one thing 204 Events has or does that makes you work with us? Great relationships are key for me. I’ve known Anna Cano for more than a dozen years and the working relationship I have with her is invaluable. She understands how I think and my process, and that makes my job so much easier, and fun too. 204 is unique in that I can dream up something that seems crazy at the outset, but 204 makes it happen. You can’t beat that!